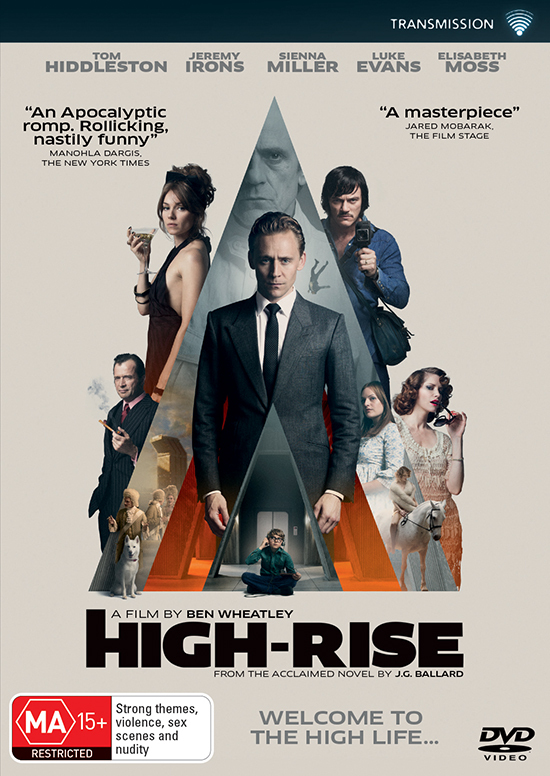 Ben Wheatley, maker of the much admired thriller-horror hybrid, Kill List (2011), went on to make another success in 2015, an adaptation of JG Ballard’s 1975 novel High-Rise. The 40-storey high-rise of the title has the wealthiest occupants living on the upper levels with sufficient facilities to warrant them not going into the outside world. Below them live the less well-off middleclass. With a declining sense of mutual responsibility, social relations and services go to pieces with appalling consequences: pet-eating, possibly cannibalism and certainly murder.